Upload a picture of "Ackee"
Add a YouTube Video for "Ackee"
Ackee is one of the most popular fruits in Jamaica. It is Jamaica’s national fruit and also Jamaica’s national dish combined with salt fish. 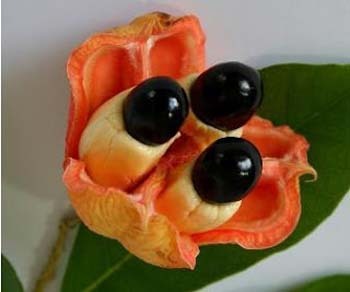 Ackee is derived from the original name Ankye which comes from the Twi language of Ghana.